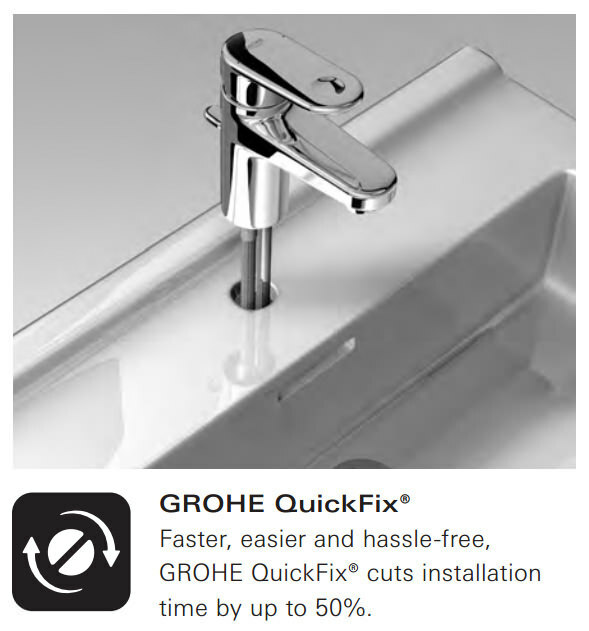 The Grohe Eurostyle Basin Mixer Tap with a unique and stylish loop lever design exudes a well-deserved confidence in its design. 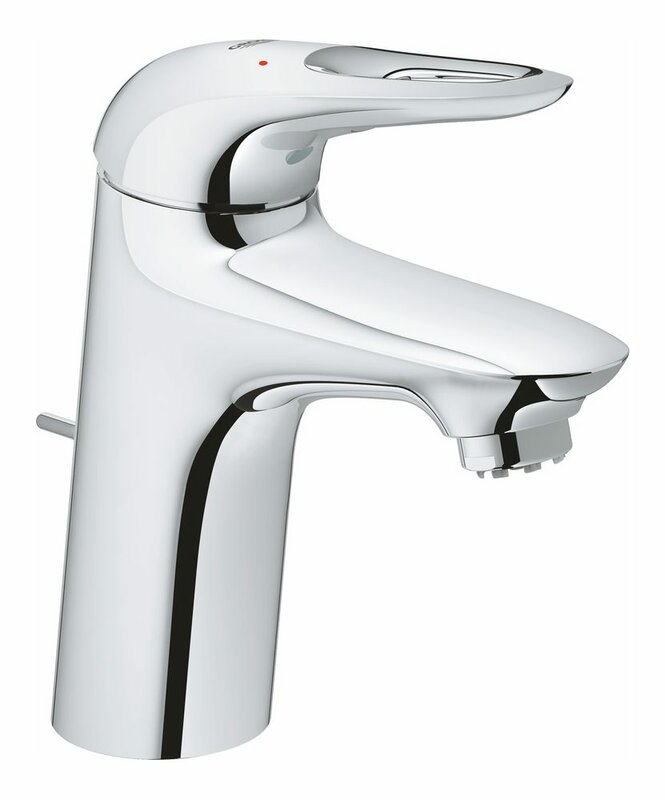 Built to last long, this tap has been expertly crafted to fit the design brief of modern households. Engineered for a monobloc installation, this mixer with an angled, forward-leaning form is compatible with a host of single tap hole basins. 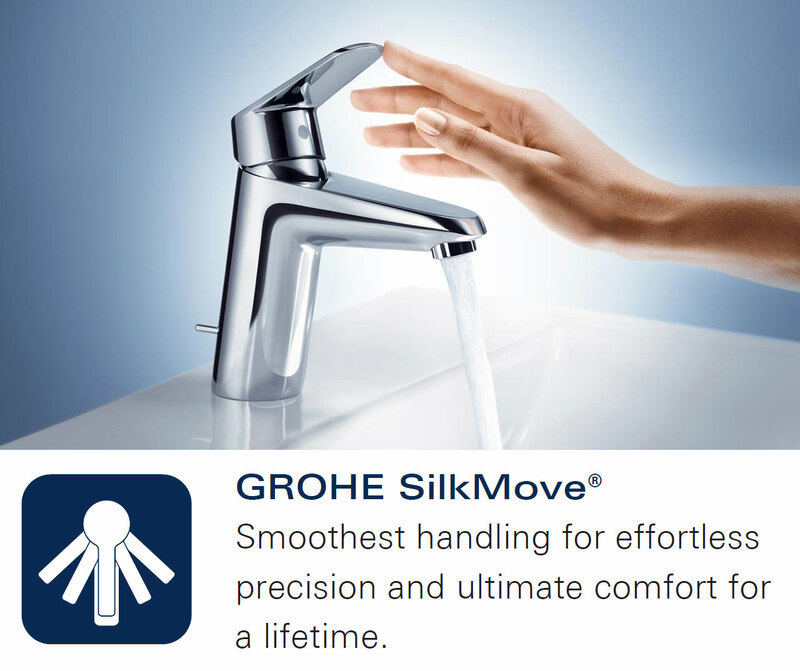 A cool and distinctive keyhole-shaped lever handle provides seamless movement between hot and cold function while the ceramic cartridge gives smooth and precise water control. 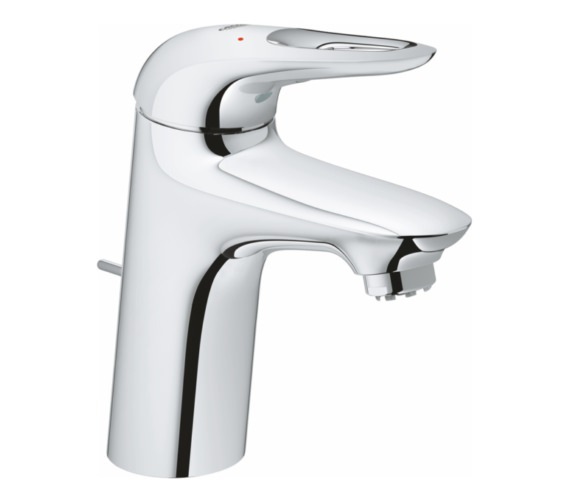 It arrives fitted with a flow straightener, ideal for a low water pressure system. 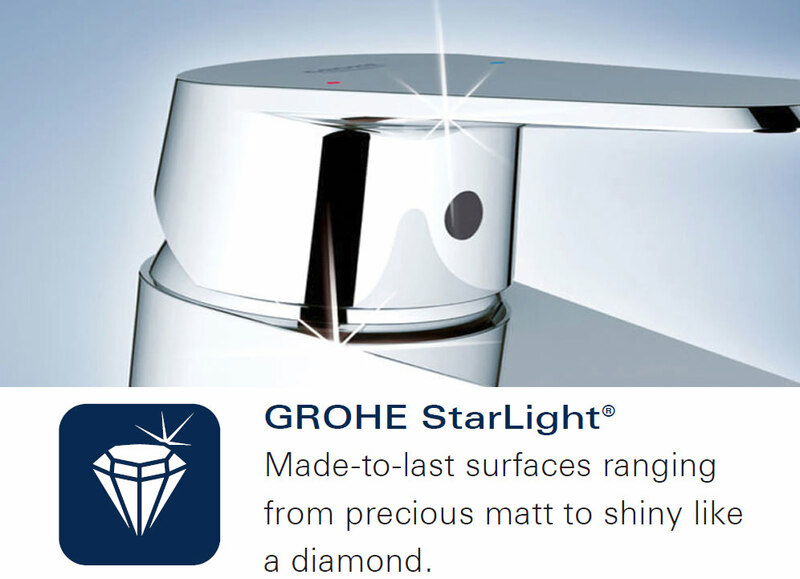 The StarLight chrome finish gives it a scratch-resistant and easy to clean, radiant surface.